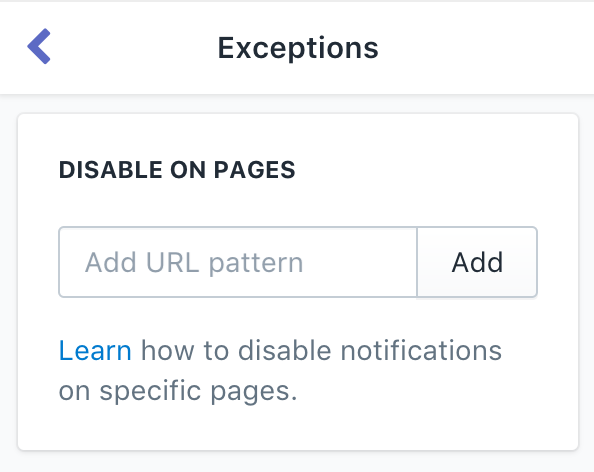 Use this setting to prevent notifications from being displayed on specific pages by adding URL patterns. The checkout page is already disabled by default. To add pattern, enter the pattern and click the add button. To remove a pattern, click the X button. To prevent products from being displayed in the notifications, click Select products. 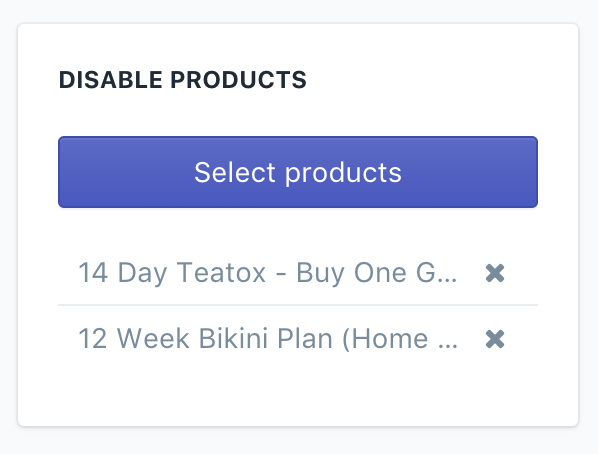 To remove a product from the list of disabled products, click the x button. Select one or more products from the product selector popup and the click the Select products button. The selected products will never be displayed in any of the notifications. 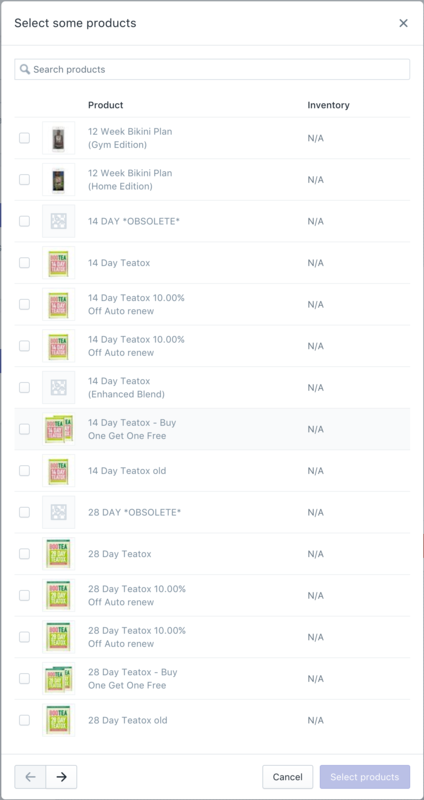 To prevent products from being displayed from an entire collection in the notifications, click Select collections. 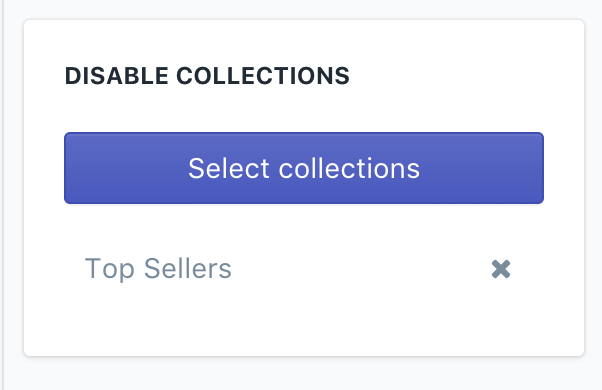 To remove a collection from the list of disabled collections, click the x button. Select one or more collections from the collection selector popup and the click the Select collections button. Products from the selected collections will never be displayed in any of the notifications.